The Chesapeake brand is proud to offer everyday essentials in dozens of categories. 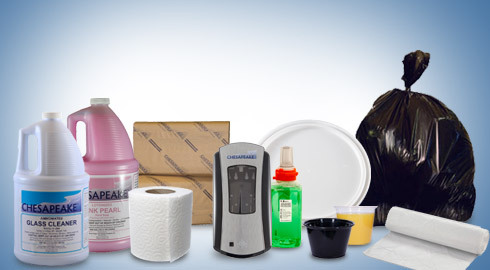 Our competitively priced quality line of products contains everything from foodservice disposables, cleaning chemicals and hand soap to toilet tissue and paper towels. Enjoy numerous sustainable options throughout the Chesapeake product mix including products made from recycled material. ReStockIt.com carries a wide variety of Chesapeake brand products to keep your business running affordably. Chesapeake products on Sale Today!